It’s been a long time coming, but SamCart is finally open to the public! For months, even years, we weren’t 100% satisfied with our shopping cart solutions. 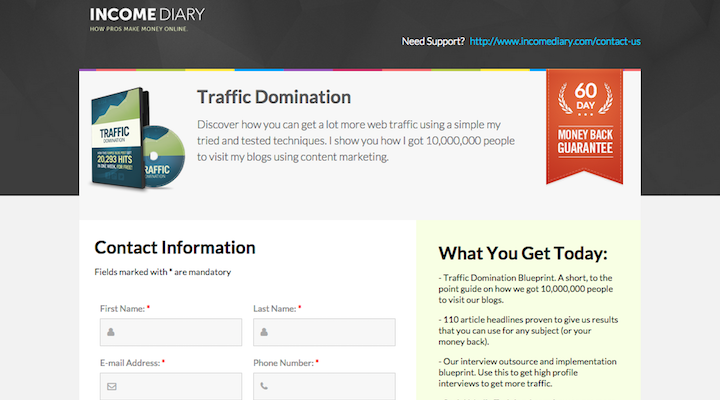 We tried everything from Clickbank and PayPal to JVZoo, you name it. But none of the solutions gave us exactly what we needed. Nothing covered all bases in a simple manner. To make it worse, most solutions charged us a percentage for each sales. The more we worked, the more we made, the more they took. 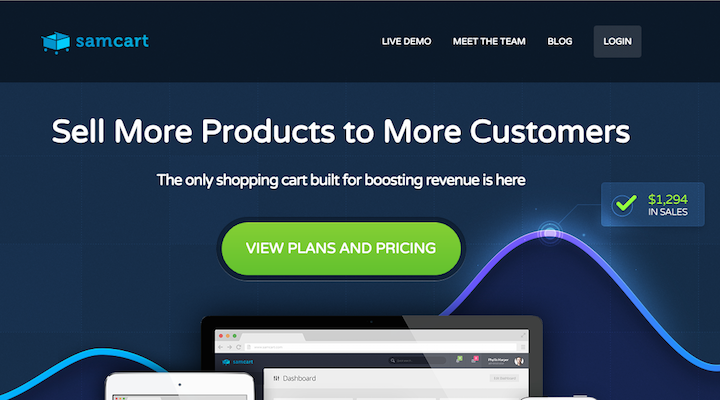 At our wits end and on the verge of creating our own solution, last October we got an email from Brian Moran inviting us to beta test his new Shopping Cart solution, SamCart. After logging in for the very first time, I had our first product created and listed for sale within the first 30 seconds – no joke. Today I’m going to show you the 10 reasons why you should dump your current shopping cart solution and get started with SamCart today! Your current shopping cart has 20 different steps just to list a product. 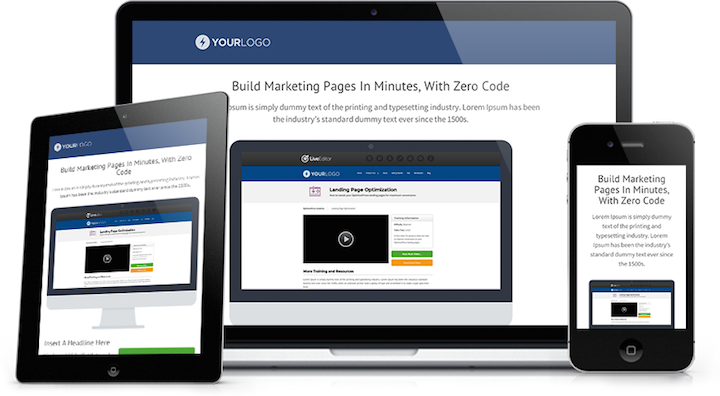 With SamCart, you can create and publish your first product in under a minute – literally. 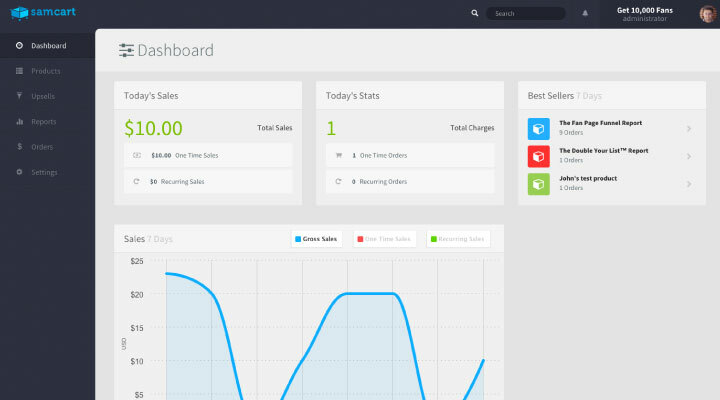 Their simple design and user friendly interface make selling digital products online simple. Step 1: Open an account. Step 2: Log in to the dashboard. Step 3: Click ‘Products’ on the lefthand menu. Step 4: Click the blue ‘New Product’ button on the top right of the page. 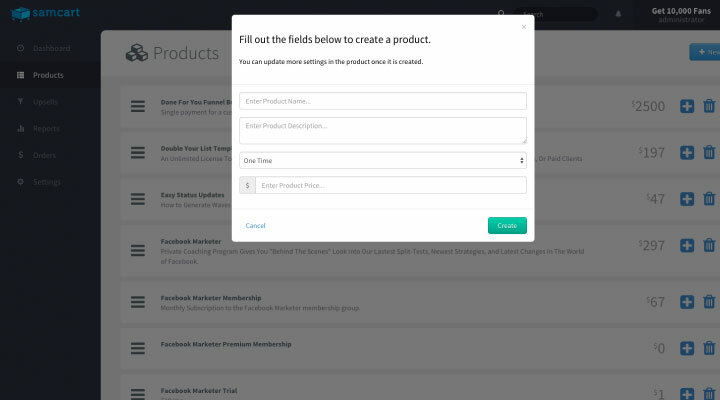 Step 5: Fill out the fields that popup (Product name, Short description, Thank you page redirect, Billing Frequency, Price). That’s it, you’re all set! 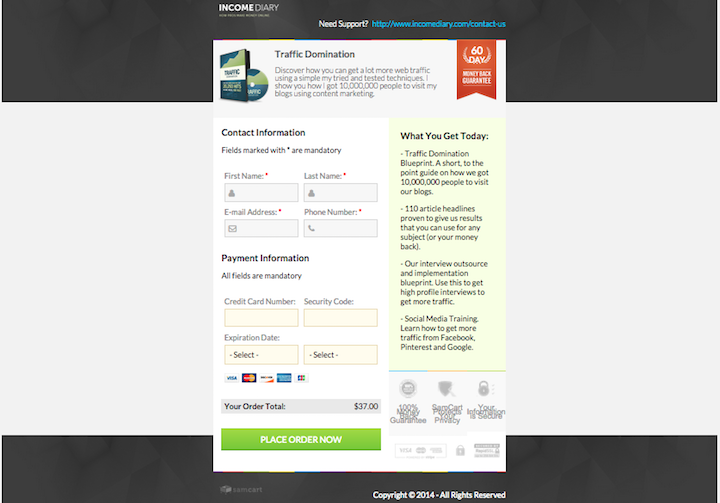 Not one of our former Shopping Carts offered the ability to easily split test our checkout pages and sales funnels. 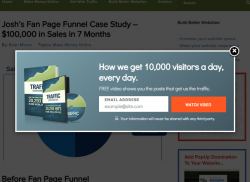 As any successful digital marketer tells you, split testing is your bread and butter. This was one thing that immediately stood out about SamCart, and like everything else about this shopping cart software, they made it easy to do. Step 1: After creating and listing your products, select one that you want to split test. 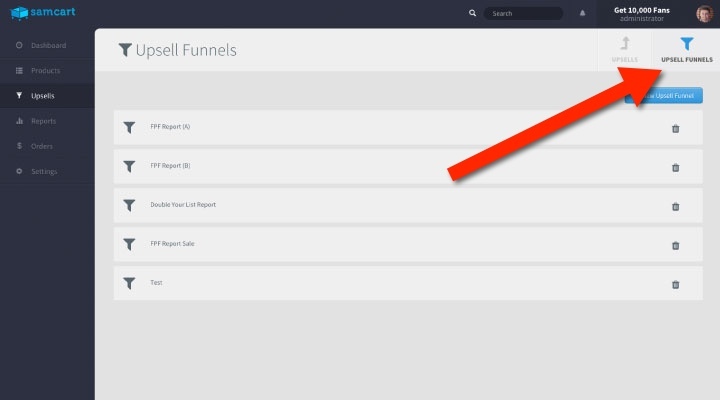 Step 2: After clicking the product you wish to split test, locate the “Upsell Funnels” section under the “Customization” tab and select a funnel from the drop down menu. 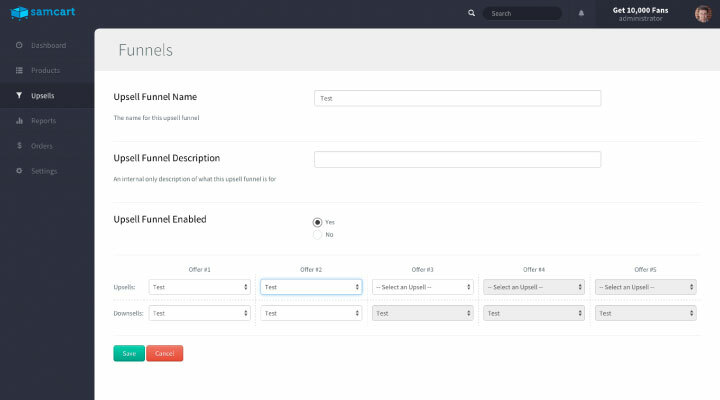 Step 3: Click “Split Test” and add other upsell funnels you want to test between. Again, this was something that used to take valuable time out of the day. We always have an upsell that adds value to our products because this enhances user experience as well as conversions. After making a purchase, customers are presented with an upsell allowing them to add a product to their cart without providing all that order info again. 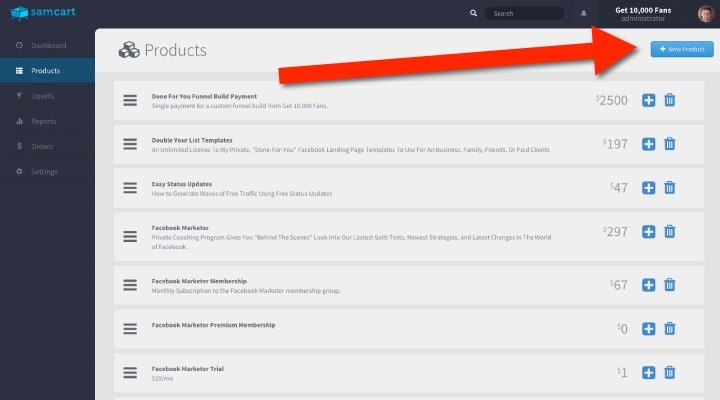 Step 1: Click “Upsells” on the lefthand side of your dashboard and then select funnels from the drop down menu. 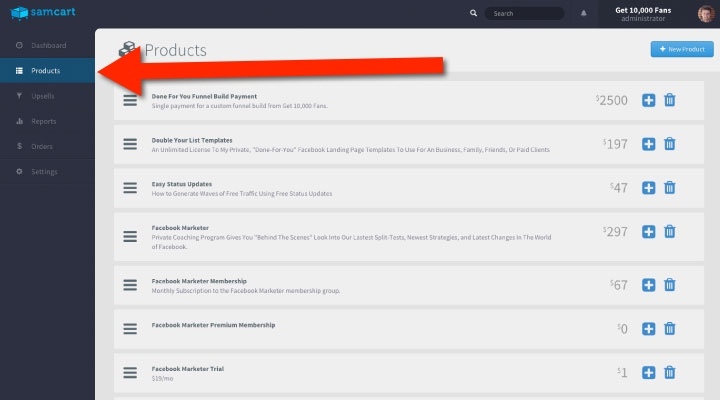 Step 4: Select how many upsell upsells you’d like to add from your product list and then select “enabled”. 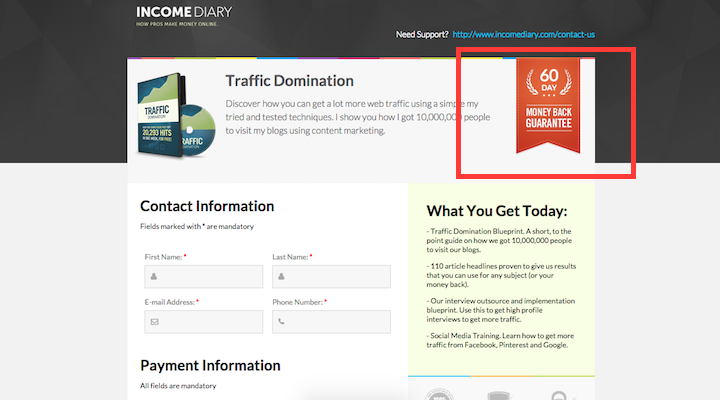 You’ll have the option to add up to 5 upsells and 5 downsells. That’s it! 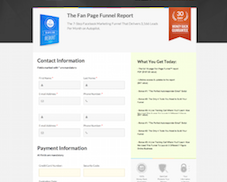 Your customers will go through the upsell funnel just the way you set it up. I’m telling you, everything about SamCart is awesome! As it turns out with many of the other carts out there, the checkout pages look nothing like your brand. This can be intimidating and sometimes means the difference between a sale and a bounce. 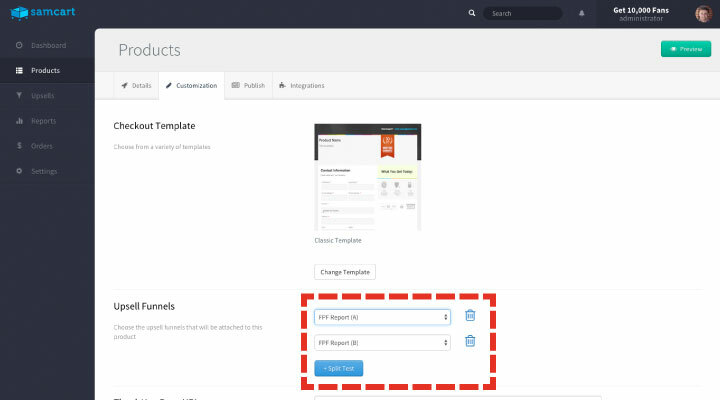 Every one of SamCarts landing page templates is customizable, and designed to convert. No more generic carts – your checkout page is an important part of your marketing strategy. I’d bet the shopping cart you’re currently using, only has one style of checkout page. Am I right? SamCart provides you with several high converting templates to choose from. Each template is designed by marketing professionals with several years of experience in digital sales and a firm grip on what sells in today’s market. On top of that, most of the elements on your checkout pages can be customized, this just adds to the effectiveness and convenience of split testing. 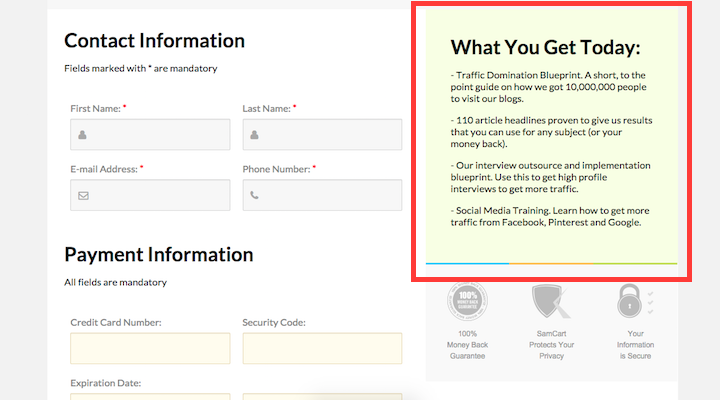 And since you’ll be split testing everything, this is a great way to truly see what works for your demographic to increase sales. A major chunk of our traffic comes from mobile devices. And this is something that’s likely also true for you. In 2014, there were more than 1.2 billion mobile users surfing the web. Mobile is becoming a bigger and bigger chunk of your online traffic. Every single SamCart checkout and upsell funnel is mobile optimized. So there’s no reason to reduce conversions because people are trying to act on offers they saw while checking gmail on their phones. Brian told me that many customers are already seeing 10-30% increases in sales. Is your current checkout page mobile optimized? If not, you’re losing money. People have very short attention spans online, and one of the easiest ways to lose sales is by having a page that takes too long to load. I noticed that with other shopping carts, I’d find that some of our checkout pages took more than 3 seconds to load in some cases. That’s ridiculous. 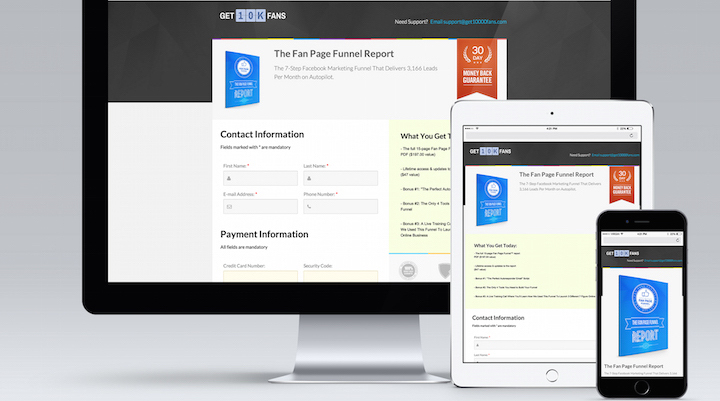 Quick page loads allow users to smoothly move through your funnels. If things take to long to load people will get distracted, lose excitement and possibly the desire to purchase all together. 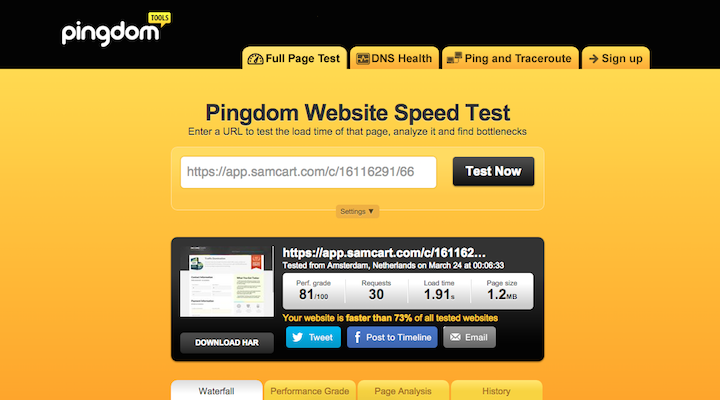 Page load speed should NEVER be an issue, and with SamCart, it’s not. Guarantees prove that you’re willing to stand behind your product. 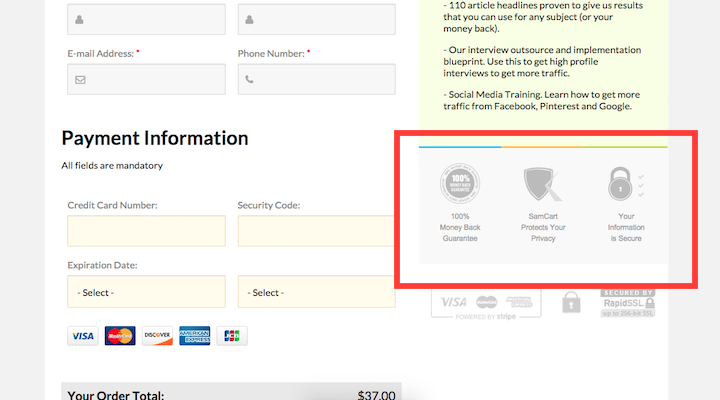 While it’s standard to have a guarantee on your sales page, it’s not so common to see them on checkout pages. 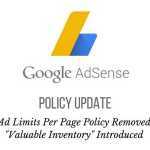 This gives your customers a sense of security and can be the final selling point that enables your user to complete the sale. Every SamCart checkout page comes with a section to post any guarantee you have. With so many instances of hacking online and even in the media these days, it’s more important than ever to secure your own as well as your customers data. Every SamCart checkout page is SSL encrypted, meaning your customer’s data will be safe and you’ll have one less thing to worry about with your business. Having the right bonuses to accompany a good product can make or break your offer. When you have a customer on the fence, oftentimes a reminder of the great product and offer they’re getting is enough to finish the checkout. SamCart nailed this too, as each checkout page comes with a prominent section dedicated to reminding your customers of exactly what they’re getting. There you have it, the 10 reasons why you should make the switch to SamCart today. 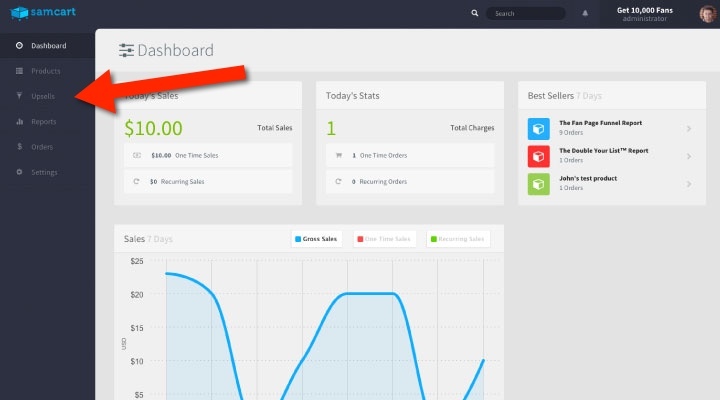 The only shopping cart built for boosting revenue is finally here. SamCart’s mission is to give marketers a shopping cart that not only looks beautiful, but also helps them sell more of their products and boost profits so they can make a bigger impact for their customers. 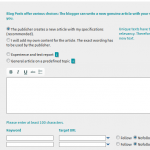 Now you can create almost any kind of pages for your business inside WordPress. Their revolutionary Element Browser system contains over 40 different elements, each with different styles and options so you can add almost unilmited functionality to your page.